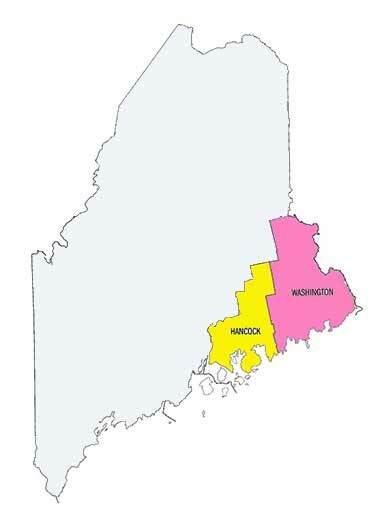 About Mid Coast Maine: The Mid coast region stretches from just north of Portland to Penobscot Bay and includes Sagadahoc County, Lincoln County, Knox County and Waldo County. This area consists of a series of peninsulas that reach out to the sea for many miles, providing world-renowned coastlines and beaches, quaint coastal villages and a vibrant working waterfront where your lobster dinner can be hauled straight from the Atlantic. Some of Maine’s most charming villages are along this coastline, including Boothbay Harbor, Bath, Wiscasset, Damariscotta, Rockland, Camden and Belfast – where you can enjoy schooner rides, whale watches, and lobster boat tours from any of these spectacular harbors. A few miles inland from these coastal towns are many beautiful lakes and ponds offering freshwater lovers great places to boat, fish, and swim. 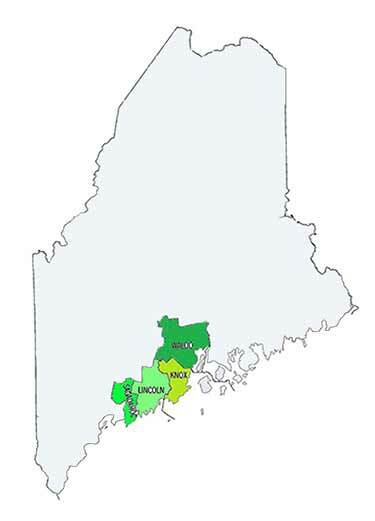 The Maine Midcoast region is home to Reid State Park and Popham Beach, two of Maine’s most scenic beaches. When the snow is falling, stay at a luxury resort or coastal cottage near the Camden Snow Bowl. In warmer months, take a ferry to one of the offshore islands to stay at a B&B on the water. Inland, visit the Union Fair for one of Maine’s premier agricultural fairs where the spirit of Maine farmers and craftspeople shine. Craft breweries and local vineyards dot the entire region and offer visitors special tours and tastings. So if you are into lobster shacks, lighthouses, crashing waves on granite shores, sandy beaches, and pristine freshwater lakes, this region is hard to beat. Let us help you find the perfect oceanfront home in Midcoast Maine by using our Customized Property Search feature below.